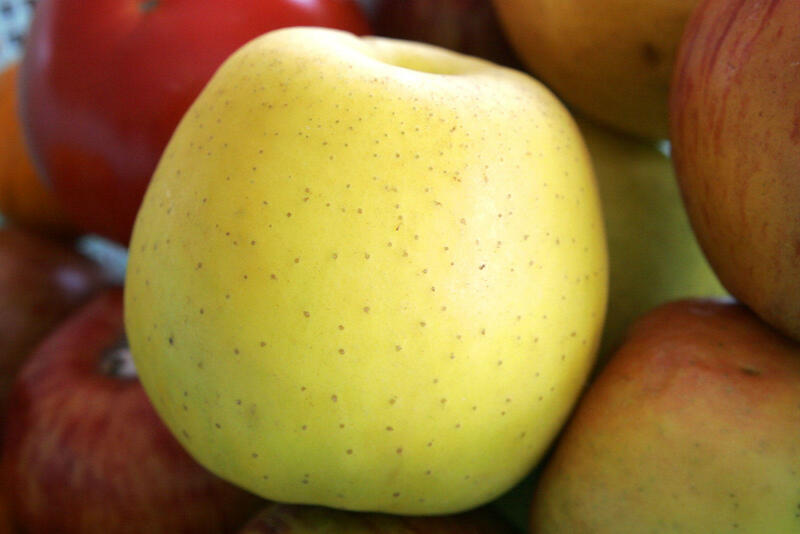 On February 20, 1995, the Golden Delicious apple was officially named the state fruit of West Virginia. It’s one of two popular apples that originated in the Mountain State. The first was the Grimes Golden, discovered in the early 1800s on the Brooke County farm of Thomas Grimes. Legend has it that the Grimes Golden tree grew from a seed planted by John Chapman, better known as Johnny Appleseed. The original Grimes Golden tree blew down in 1905, after bearing fruit for a century. The Golden Delicious apple was discovered in 1912 in Clay County by Anderson Mullins. It was probably related to the Grimes Golden but had a sweeter taste. Mullins originally called it “Mullins’s Yellow Seedling and Annit apple.” Stark Brothers Nurseries purchased the tree from Mullins and built a fence around it. The company changed the name of the apple to the Golden Delicious to market with its Red Delicious brand. The original Golden Delicious tree bore its last apples and died in the late 1950s. Since 1972, West Virginia’s most famous apple has been celebrated at the annual Clay County Golden Delicious Festival.